It was a decent late winters day when I strolled into Iwan Ries & Co looking to spend the next couple of hours enjoying a cigar. As I determined my cigar for the day, I also opted to make a purchase to be enjoyed at a later date. Cue the Hoffman House Robusto. 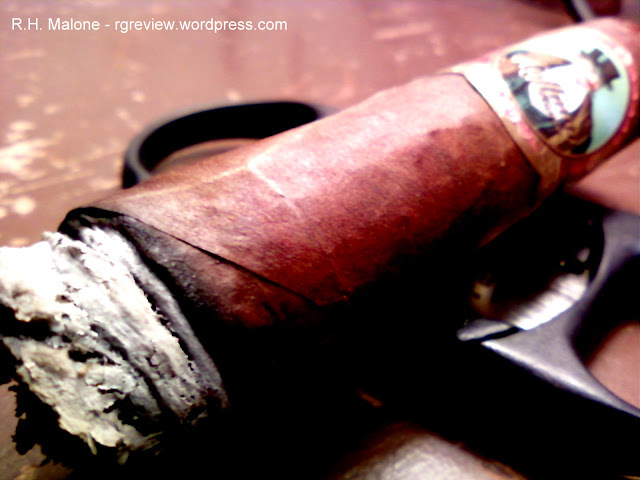 I recall the salesman offering me a brief history on the cigar, which you can read for yourself. Upon my usual pre-light ritual, I quickly noticed a rich, robust tobacco aroma, that seemed to be mixed, if ever so slightly with a note of honey. Inviting for sure. The wrapper was drawn tight, providing the perfect coat upon which to clothe the well packed binder and filler. She cut clean and while holding to a draw that was a little firm, offered up a rich pre-light flavor of oats, honey and pure tobacco. I was pleased to see that I had no difficulties in lighting the cigar. In fact, upon setting heat to it, the draw began to loosen and by an inch or so into the cigar the draw issues had resolved themselves just fine. I noticed an initial spice; almost like white pepper that greeted you at first. However, this far too quickly dissipated in my opinion. More on this in a moment. Once the spice left, I was left with the flavor of rich, pure tobacco with a hint of butter. This made for a rather indulgent flavor profile, that kept me coming back for more. 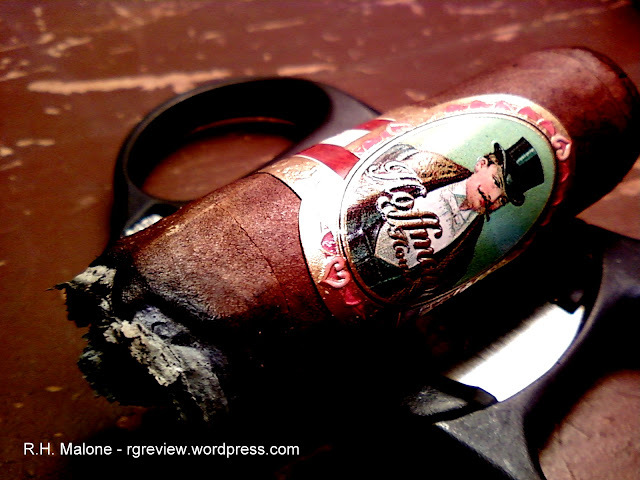 Toward the latter third of the cigar, due to neglect more than anything, I did have to offer a relight. To my surprise this reproduced the spice I was initially greeted with. But much like in the beginning, this too quickly faded returning to the flavor profile that had been true throughout. 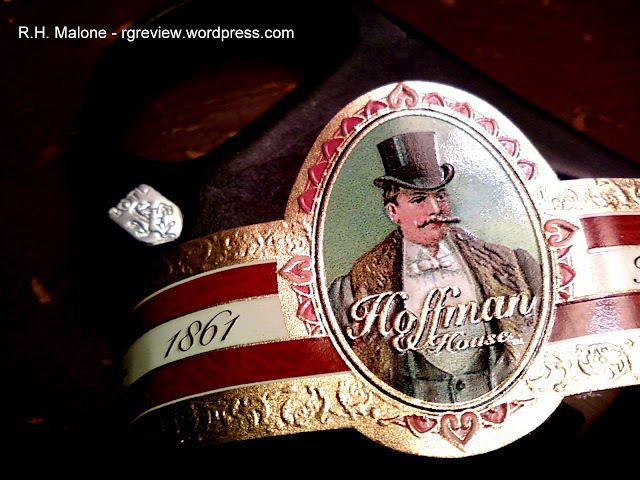 Producing large volumes of smoke and a rather gorgeous firm white ash, the Hoffman House proved to be a real gem of a cigar, that in hind sight I’d wished I’d purchased more of (despite the fact I felt as though they tipped toward the pricey side. I believe close to $9 for a single). 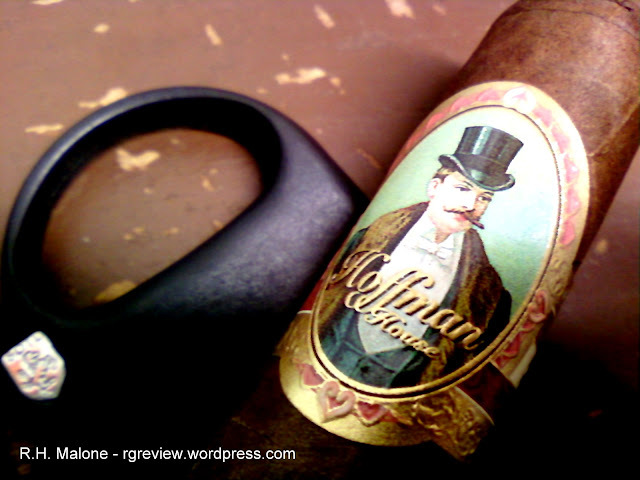 I should add, I found the Hoffman House to be a very well balanced cigar, resting nicely in the medium range for strength. Nice review ... I will have to keep an eye out for one to try! Thanks for the review & pics. I love the band on this cigar. me too, very sharp and old school classic. I was surprised though to note how thin a paper it was... still, very sharp though. Great review, and interesting flavors that you picked out from it. I couldn't get to these on their website. Maybe they're sold out! 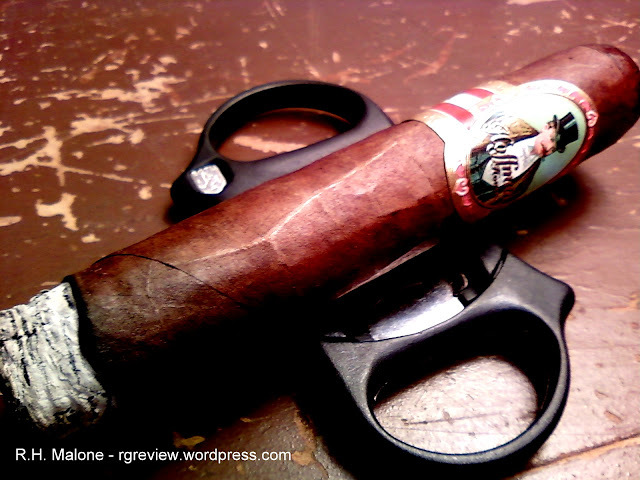 Good review and interesting cigar. May have to do a search for it and try them out. I love the old school band.